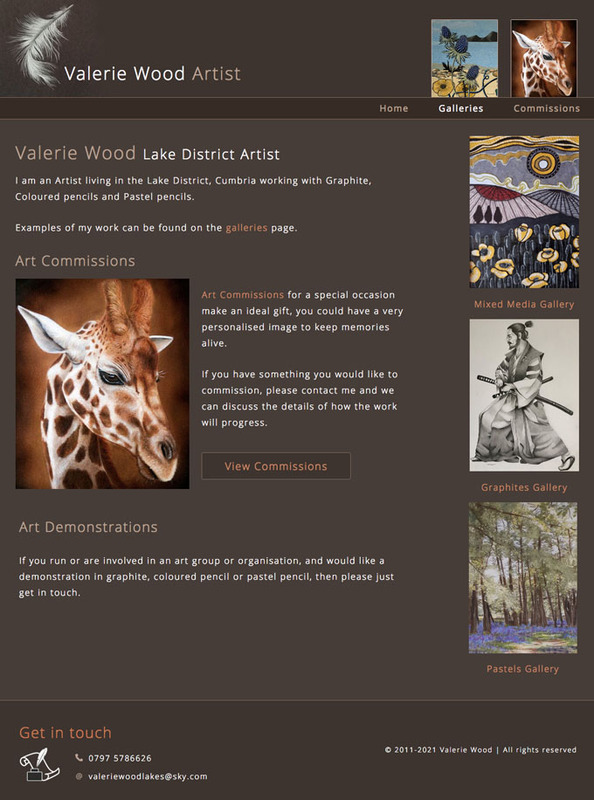 Website redesign for local artist Valerie Wood to showcase her work and advertise her art courses and workshops in the Lake District. The client wanted her website redesigned to be more attractive and to include a gallery of her work. One of her leaf drawings was used to create a simple logo effect, which was reflected further by using a Photoshop brush tool to scatter random leaves. The same tool was used to create the cut-out edge effect of the border. The site was optimised for *art workshops lake district* and *art courses lake district*.